Second pit stop is at the Art in Island in Cubao, Quezon City. The whole place is amazing. Kids and the kids-at-heart like Tita Jasmin from Jolly Cow definitely gives the place a thumbs up ... errr, maybe after battling with the big croc will see her thumb! With me in the photo is Kwek, youngest son of Mommy Arcee. 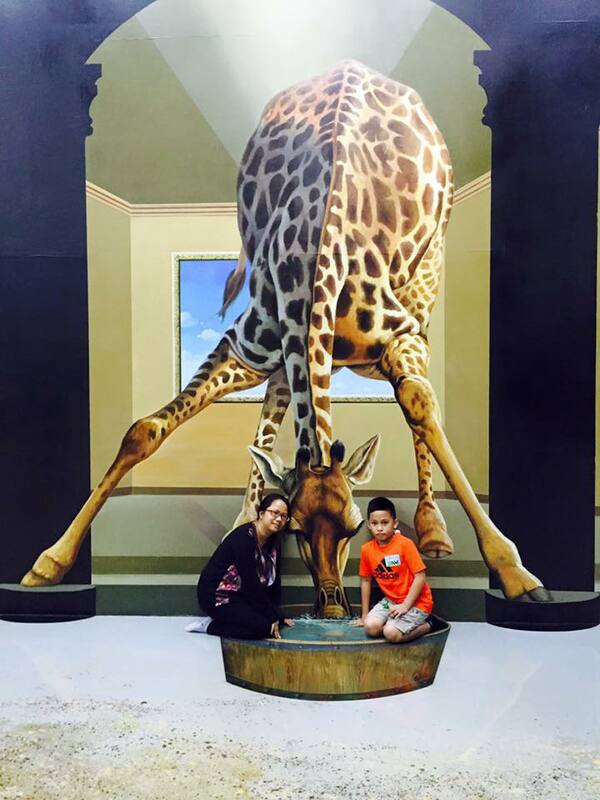 I didn't realize until now that weren't suppose to sit inside the giraffe's water basin- hahaha. Anyways, it was fun being in the giraffe's water. Third pit stop was in Burgoo, Gateway Mall. 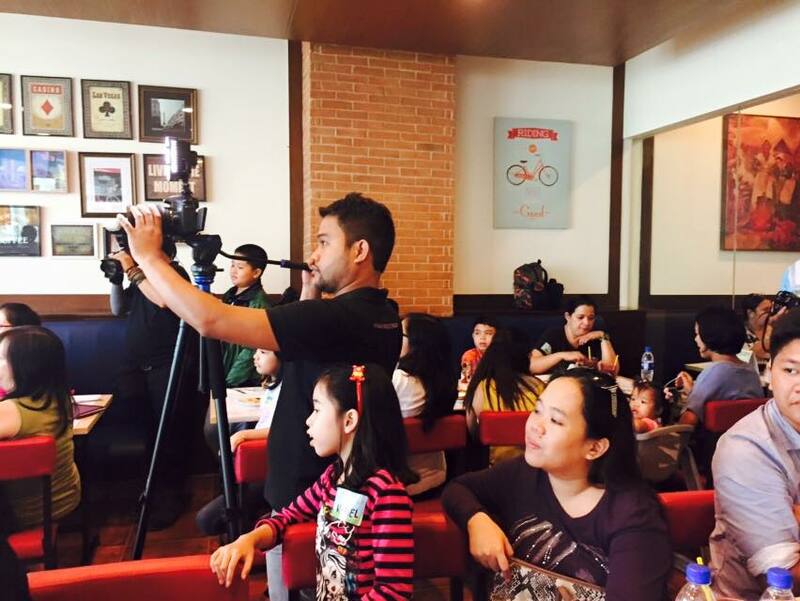 Aside from having a hearty lunch, moms & kids were also treated to a magic and puppet show. Here's Papa P doing his magic tricks. 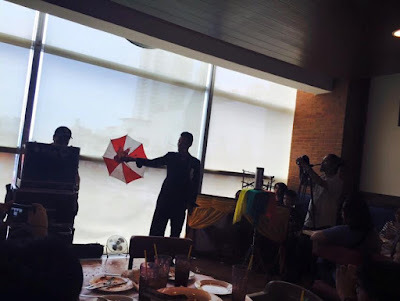 I admit I was being a bit skeptic with the magic show since most of the magician's trick tends to be almost the same ... but Papa P had all of us mesmerized with his "payong" tricks. Really, it rained "payong" (umbrella) during the whole duration of his show. See? Everyone's captivated with Papa P. Btw, P stands for "payong." After the payong-show, moms & kids were treated to a puppet show. The fun didn't stop after the puppet show because everyone was ushered in to watch Inside Out, the movie. It was really a whole jolly day indeed with Jolly Cow Creamylicious Milk. 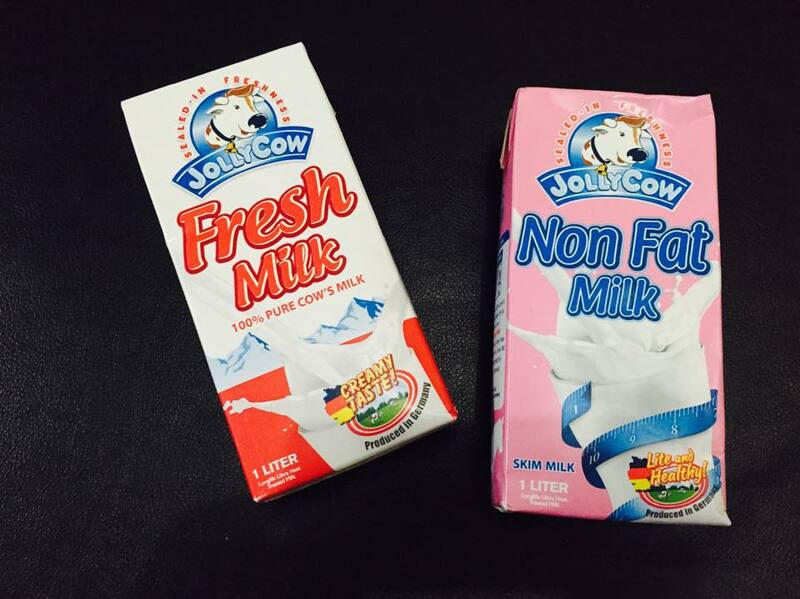 Thank you Jolly Cow and Fly Ace Corp., for inviting us to the Jolly Cow Mom and Kid's Day Out. It's too bad I missed this! I've been wanting to go to Art in Island as well. Hopefully soon with the whole family. what a fantastic experienced! Children loves magic trick so much. Even adults too like hehe hahahha! That looks like an awesome event! 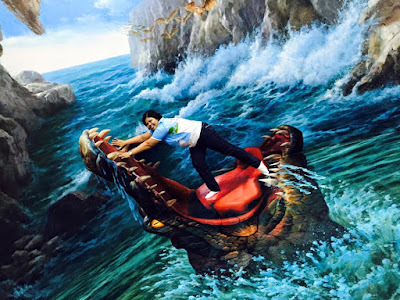 I'm really curious about Art in Island. So quirky and fun! I'm sure you had a great time. 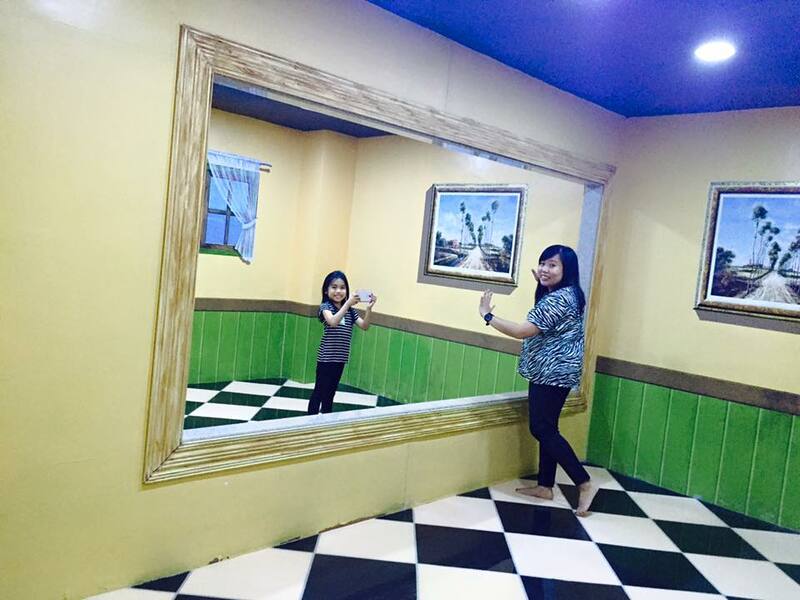 It looks so fun mommy, planning to visit Art in island in the future. Thank you for sharing! Going to art island with my boy soon! Looks like you had a blast. happy for you sis! awww... so this was it. sayang i couldn't make it. art in island looks awesome! My husband wants to take the kids there. Sayang, would have signed up for that event but the schedule didn't quite match ours. it sure was such a jolly day out for the mums + kiddos. it was our first time at Art In Island + my little one really enjoyed the experience!